Flowers, palm trees and birds are just some of the print designs you can find on Aloha shirts. Although people from the mainland call them Hawaiian shirts, the proper term for it is aloha shirt. There are generally two kinds of aloha shirts. The first is the type of shirt typically worn by local businessmen, which is printed, usually short sleeved and collared, having buttons through the full shirt. The second style is the silky looking aloha shirt. Tom Selleck in television series Magnum, P.I. made it popular. Aloha shirts can feature anything from standard floral patterns, to more contemporary elements like logos, drinks, team names or automobiles. However, nature-themed prints are the more traditional versions of the aloha shirt. Aloha shirts first came on the scene in 1935, when the Honolulu Advertiser noted the item for sale at Musashi-ya Shoten store in Honolulu. Chotaro Miyamoto, a Japanese immigrant to Hawaii, first opened the store in 1904. His son was reputedly the first to sew and sell the aloha shirt. This style shirt began to gain global attention during the 1940s. This was when servicemen in Hawaii and elsewhere in the Pacific returned home with these appealing tropical shirts. When tourism in Hawaiian increased in the 1950’s, the shirts’ popularity increased. Designers in Hawaii saw the opportunity and began to manufacture more of these iconic shirts. Alfred Shaheen, a local textile manufacturer, was one of the first to transform the industry. He developed more intricate designs and began high volume shirt production. Although some were garish and loud, some were undeniably iconic. Even Elvis Presley wore a Shaheen aloha shirt, most prominently on the cover for his 1961 Blue Hawaii soundtrack album. One of the more famous contemporary manufacturers is Reyn Spooner. Many considered it to be the premier manufacturer of business aloha shirts today. Reyn McCoullough opened his first business in the 1940’s on Catalina Island. He eventually joined forces with Spooner’s Waikiki stand in Oahu and the team began aloha shirt production. The designers received enormous praise for the intricate and unique shirt making, a trend which has continued today. A classic Reyn Spooner shirt is the nene goose aloha shirt. Spooner shirts are high-end costing nearly $100 each. Other makers are old-time Hawaiian designers Kahala and the family-owned Tori Richard, who specialize in chiffon, silk and cotton lawn material. 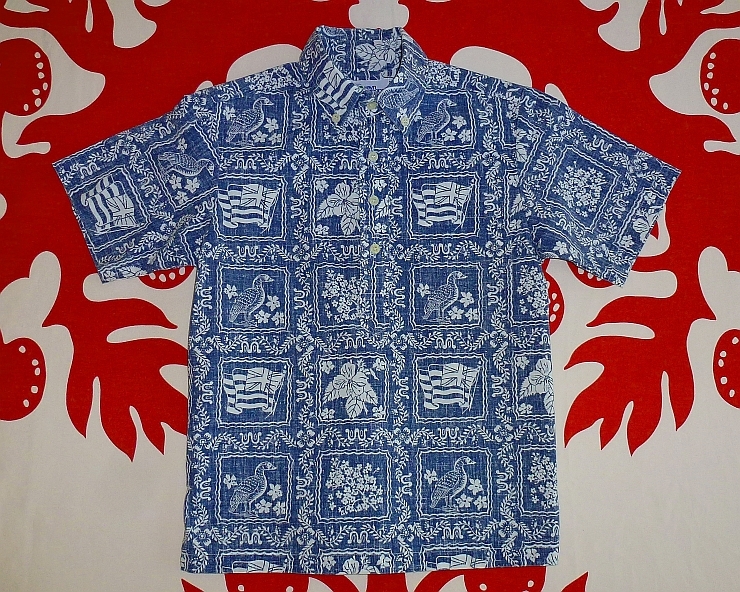 It is not uncommon to see men on the mainland wearing aloha shirts on casual Fridays. However, this trend actually began many decades ago in Hawaii. In the 1940’s, the Chamber of Commerce of Hawaii passed a resolution allowing their employees to wear aloha shirts during the summers. Twenty years later, the Hawaii Fashion Guild organized a campaign promoting businessmen to wear aloha shirts on Fridays. A few years later, aloha shirts became the standard business attire for any day of the week in Hawaii. Today, aloha shirts are worn every day in Hawaii and for all occasions. A great time to enjoy an array of Hawaiian culture and traditions is during the Aloha Festivals. This tradition first began in 1947 as a week-long festival. This Aloha Week celebrated Hawaiian music, dance, sports and traditions at Ala Moana Park. The festivities began in October in the hopes that it would draw more vacationers to the Hawaiian Islands. Here, women wore mu’umu’us while men wore aloha shirts. It make it the prime place to admire all the unique designs colors and prints of aloha wear. The festival started in Oahu, but grew in popularity and expanded to all the islands. By 1991, the Aloha Week became the nearly month long Aloha Festivals in September. The celebrations are free, open to the public and promote Hawaiian heritage and culture. There are many parades, events and ceremonies. They use over 30,000 local volunteers and entertain over 1,000,000 visitors throughout the State of Hawaii. For those who want to enjoy Hawaiian music, food, and culture, September might be the perfect month to visit the islands.